Tina Roth Eisenberg is a Swiss born designer working and living in Brooklyn, New York. For nearly five years, Tina was the design director at Thinkmap, formerly known as PlumbDesign where she was in charge of the award-winning Visual Thesaurus. In 2006, she founded SwissMiss Studio, an interactive studio focusing on web applications, e-commerce sites and iPhone applications. Tina is the author of the wildly popular design blog SwissMiss, organizes a monthly lecture/breakfast series called CreativeMornings, runs Studiomates, a collaborative workspace in DUMBO and is the force behind the simple, browser-based to-do app called TeuxDeux. The best part about our studio are our infamous lunches. TINA ROTH EISENBERG: I don’t really look at my work as ‘work’. I absolutely love what I do. A little bit over a year ago I said goodbye to clients and have been focusing on my blog and my own products. That was the best (albeit stressful) decision I have ever made. I tend to work nonstop, as I don’t really distinguish between work and play, after all, I do exactly what I want to do, every single day. Thank god for my two little kids (Ella 5 and Tilo 1), they force me to stop working and go home. 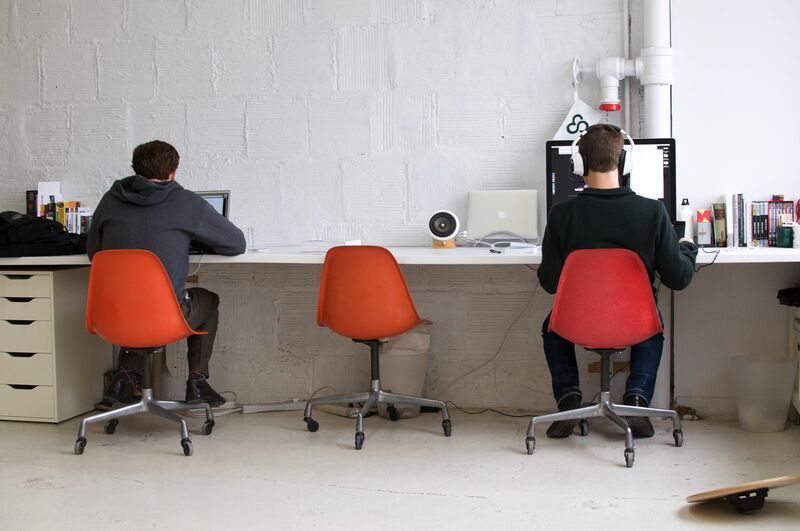 FYD: You are part of a collaborative workspace. How does this atmosphere ebb and flow? 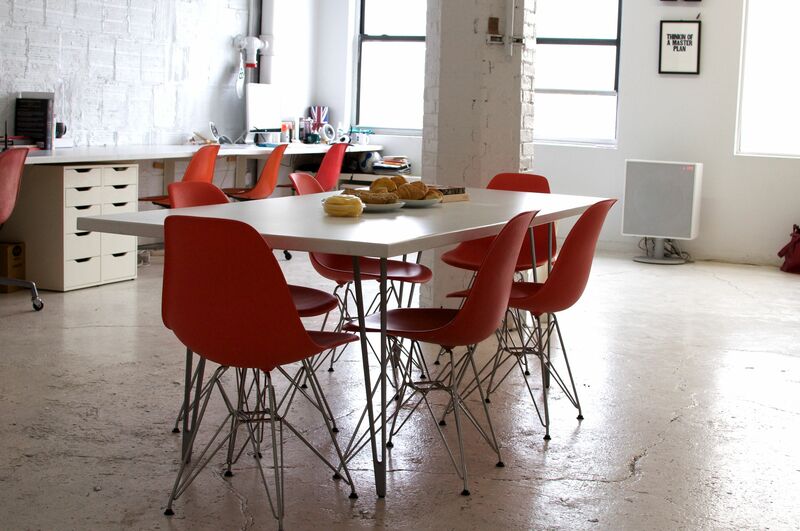 TRE: Our Studiomates office is in DUMBO, Brooklyn, right on the water with amazing views of Manhattan and the bridges. I call it my ‘Happy Place’. I am not exaggerating when I say that I love coming to work. Studiomates consists of an extremely smart and inspirational group of people. 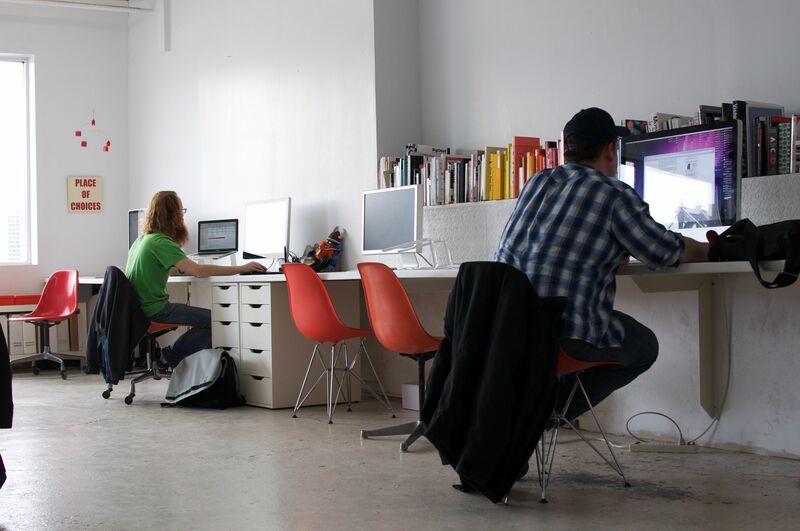 There’s an entrepreneurial spirit and overall web-geekiness that is quite contagious. The best part about our studio are our infamous lunches. We usually eat lunches together and end up brainstorming new ideas or simply exchanging stories. I have never in my life had a work environment that I enjoy this much. Just imagine being surrounded by incredibly talented and smart people, that all respect and support each other. FYD: How did CreativeMornings come about? TRE: I wanted a morning event, that was accessible to all, that would allow you to network and get a dose of inspiration before you go off to work. A lot of conferences take up too much time or are simply too expensive. CreativeMornings is accessible for anyone that’s quick enough to rsvp. They are free and always include a 20minute lecture. We have now grown into 4 cities (Zurich, Los Angeles, SanFrancisco and New York.) 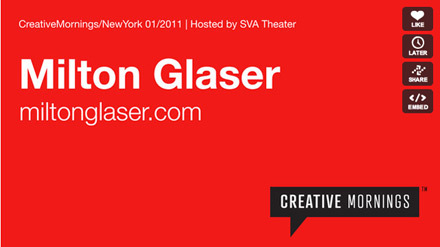 I am going to be focusing in expanding CreativeMornings in the coming year. I get emails from people wanting to open chapters on a daily basis. I obviously hit a nerve. FYD: Do you hit the pavement or does the bulk of your inspiration come from the wires? TRE: I am a curious, visual person, always looking. New York is full of interestingness. And yes, of course, the Internet. I have a few sites I visit daily, but I spend a lot of time in my submissions inbox. My readers know me well and send me links from all around the world. It feels like I have an army of scouts working for me. I am very fortunate. I am not exaggerating when I say that I love coming to work. FYD: What’s your list of four of five staple items a desk requires? 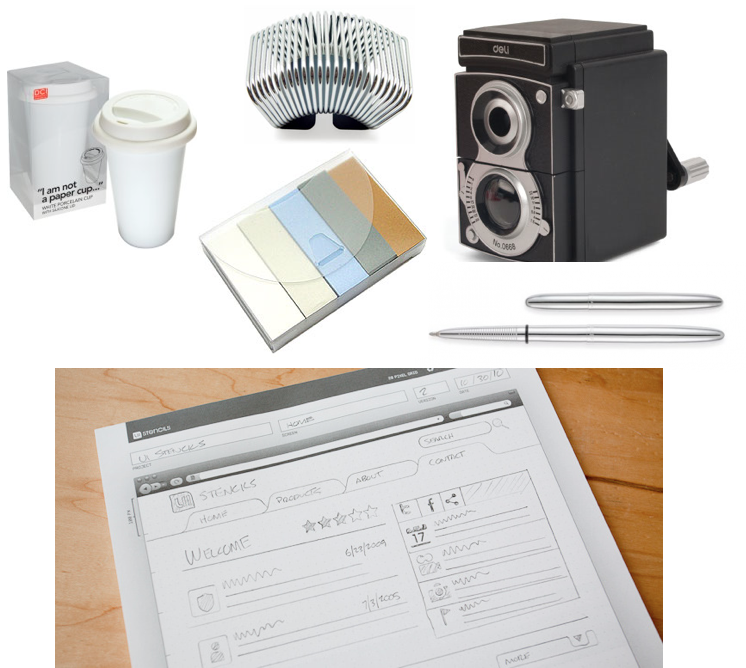 TRE: Beyond the obvious Mac Products, I would say: A Fisher Space Pen, Camera Pencil Sharpener, I Am Not a Paper Cup Travel Cup with Lid, Spring Card/Notes Holder, MUJI Page Markers, and the Browser Sketch Pad. FYD: Is there a good application to keep project management in tune? TRE: I don’t know how I would keep on top of things without my to do app TeuxDeux that I created with my Studiomates Cameron Kozcon and Evan Haas. It helps me to stay ontop of my daily to-do’s. TRE: Yes, life is the sum of YOUR choices. 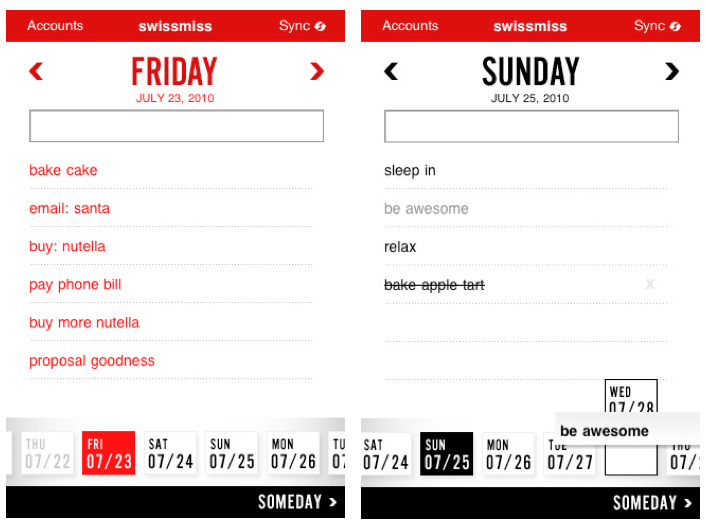 *There are various places to tap into Tina’s world via her blog SwissMiss, Facebook @here and Twitter at @creativemorning and @swissmiss. 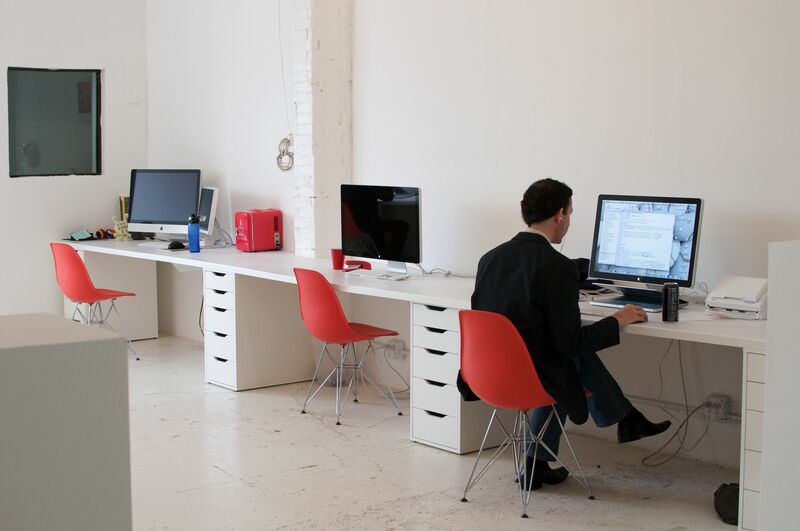 It’s a nice looking office, and DUMBO is fun, but how do you get by on those chairs!? They look great but offer little ergonomic comfort. I love your office! 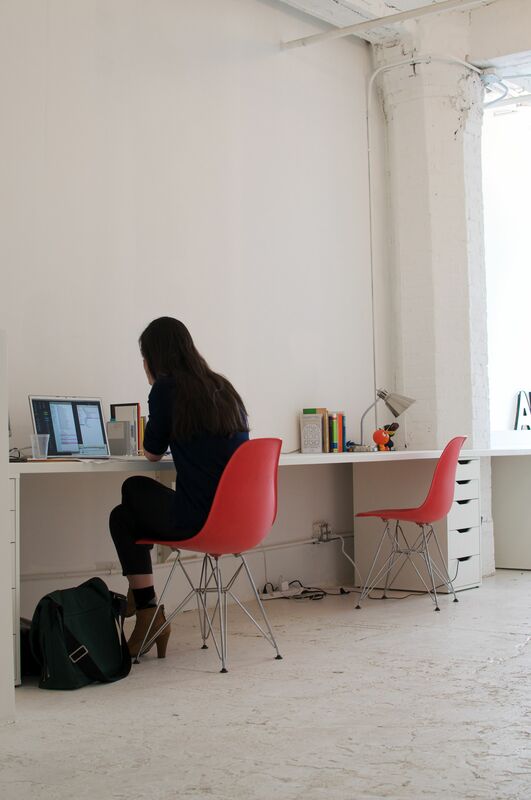 You should start another studio in Richmond, Virginia so I can inhabit it! 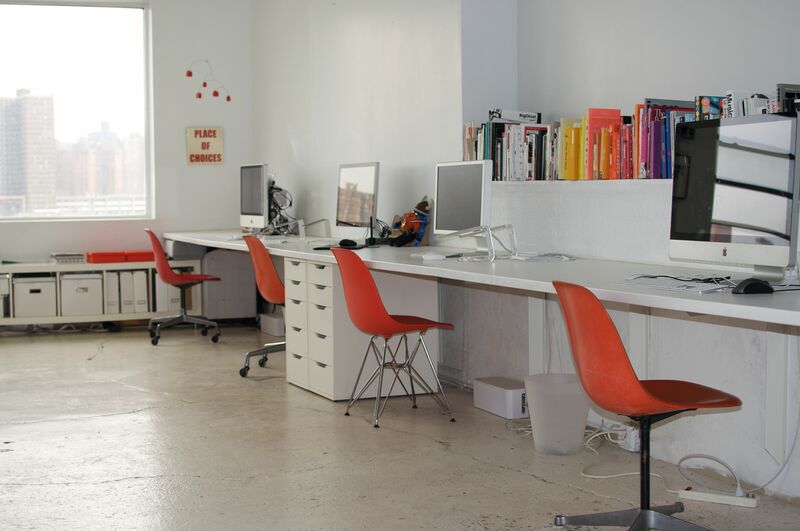 I adore this space, must be an incredibly creative place to work.